As any parent knows, when kids get excited about something, it consumes them. Think about all the crazy toys, clothes, and food you’ve purchased because your kid “had to have it.” While this obsessive nature of children can lead to some uphill battles for parents, it can also be a great ally. If we can get kids hyped about healthy activities, it can lead to some phenomenal outcomes. About 550 kids take a field trip to Lane Community College to experience The Gift of Literacy. The army of volunteers guide first grade students through their literacy adventure, including guest appearances from literary mascots like Curious George, Clifford, and Fancy Nancy. 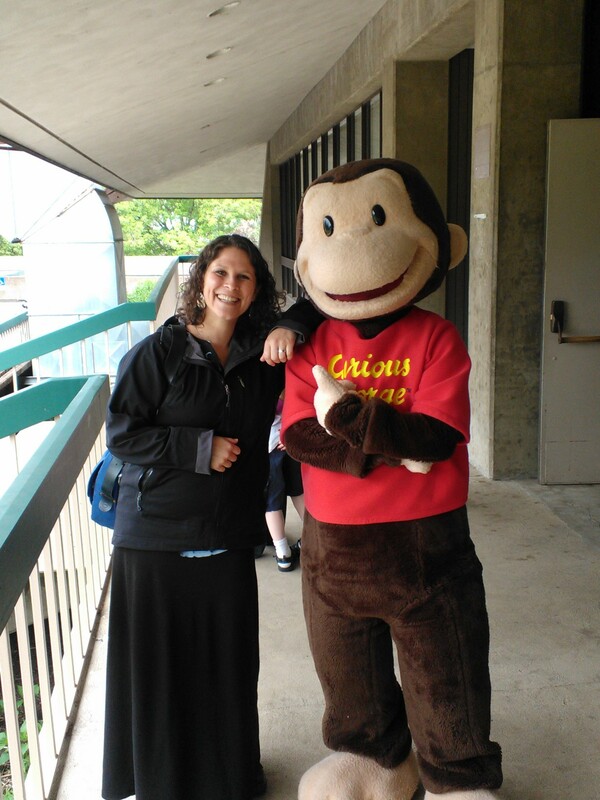 Here’s Katie with Curious George! When the kids arrived, they all sat in a large, college auditorium. They met the founder of the program, were told a story, and made a promise to read a book every day for the entire summer. Afterwards, they received a backpack full of materials and their very own hard-back book, customized with their name. After that, they broke the kids into smaller cohorts and went into reading rooms where they could enjoy hearing their books read for the first time out loud. Their journey ended with a sac-lunch accompanied by their friends and their new stories. We went to show our support for the program, and were fortunate enough to sit through most of the journey with the kids. The organization and flow of the day was extremely impressive! One of my favorite parts of the experience was the look of anticipation on their faces just moments before they were told they could open their backpacks. The expressions of happiness and shouts of joy that followed the unveiling were priceless. We couldn’t be more proud to support such a phenomenal program. Thanks to all the volunteers, Team Springfield, and Lane Community College, and of course, Gift of Literacy for making it happen. 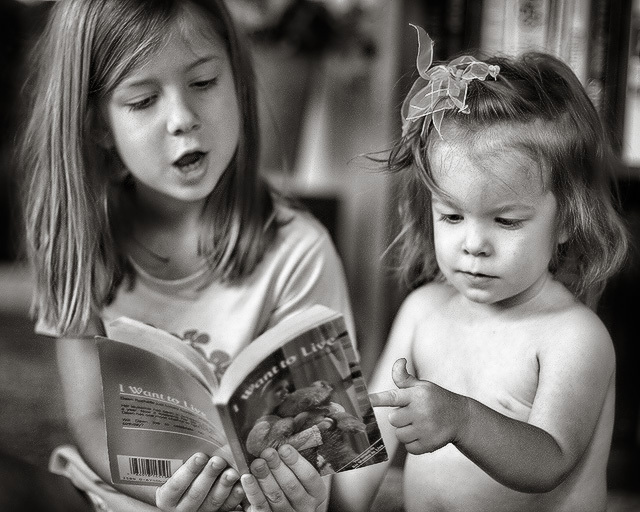 Here’s a quick video that gives a sneak peak at The Gift of Literacy. I’m not sure how it happened, but eating healthy seems to be associated with taking too much time. Well, over the past couple of weeks I have been racking my brain trying to figure out how to show people that making healthy snacks can be just as quick and easy as picking up a bag of chips. Finally I had an epiphany! I would like to introduce you to my newest project, 7 Second Snacks. For the rest of the summer I will be creating 7 second videos of some of my new favorite snacks. Each video will include the ingredients and step by step process of how to make a quick, HEALTHY treat. Enjoy! And for those who enjoy collecting recipes here you go! If you’re feeling creative, mix up the ingredients a little. 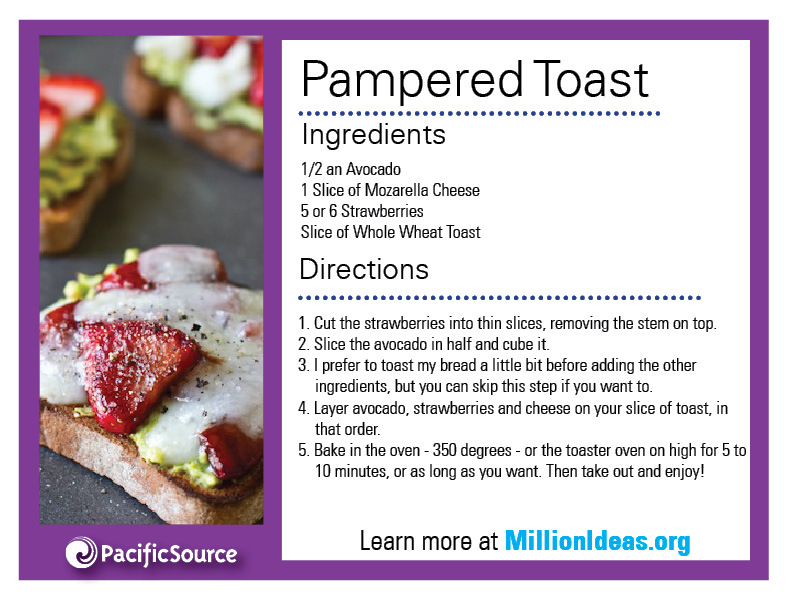 Turns out toast is a pretty versatile food, and makes for a great healthy snack. It’s hard to describe how much work it takes to create an event as meaningful and successful as Relay for Life. With nearly 2,500 people signed up, and almost $400,000 raised, Relay for Life is an event to celebrate the perseverance of all who are affected by cancer. Hosted at Willamette High School, 134 teams, (including PacificSource) will walk together in support of cancer research, prevention, and a cure. Our own team has 28 dedicated members, many who hope to break personal records, and all are excited to take part in a worthy cause. 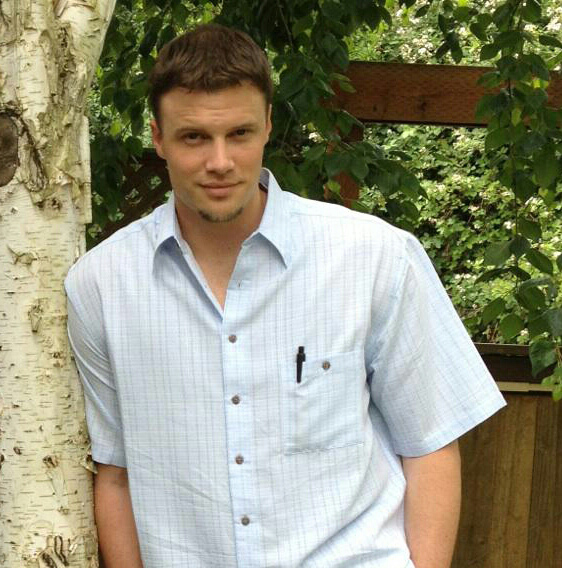 Keith Koch, one of the PacificSource team members, has vowed to walk no less than 20 miles at tonight’s event. He hopes to raise over $1,000 dollars by accepting donations and pledges per mile from the beginning of the event to the very end. 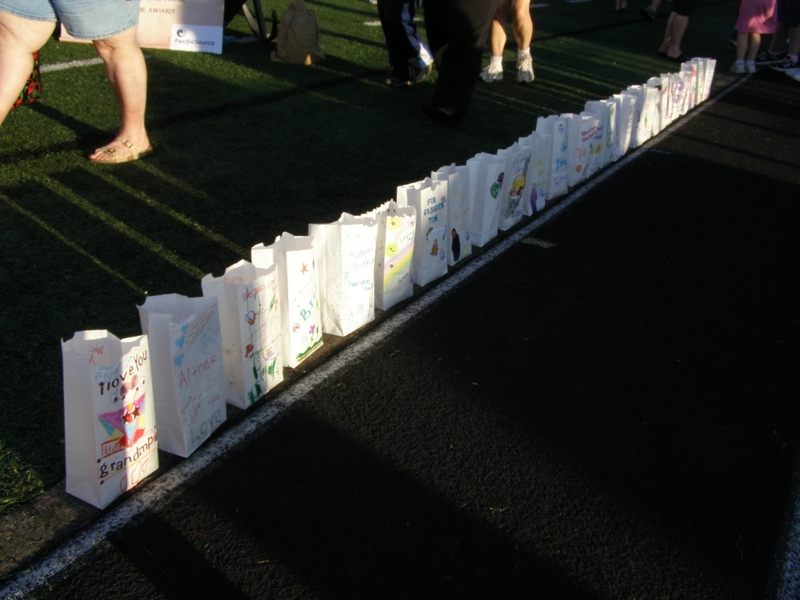 Relay for Life is all about the people who participate. With a group of people this dedicated, it makes you feel like anything is possible. Beginning at 6pm with a warm welcome, the entire event unfolds with light hearted themes, and re-energizing dance parties. The list includes, crazy hat laps, late night raves, zumba, and yoga for those still walking at 6am. There will be a special ceremony for the survivors participating, and once the sun goes down the Luminaria dedication will begin. If you’re interested in joining you can find out more on the Relay for Life website. Even if you aren’t able to join there are so many ways to take part in this great event. Be part of the thousands walking, jogging, standing, or donating in solidarity.